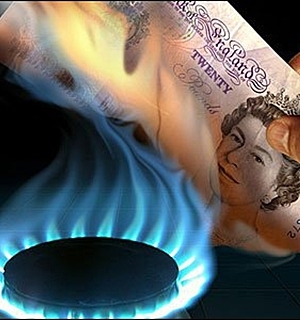 Gas and electricity prices have been in the news a lot recently, as Labour leader Ed Miliband made a pledge to put a freeze on the price hikes put forward by the big energy companies, should the British public see fit to make him prime minister in the next General Election. With Brits having seen rise after rise in gas and electricity prices in recent years, Miliband’s promise predictably gathered plenty of support – despite claims that a price cap will lead to blackouts and damage the UK’s hopes of achieving ambitious carbon reduction targets. With all this going on just as Brits were beginning to raid wardrobes for their knitted sweatshirts and casting envious eyes towards their thermostats, one of the ‘big six’ energy companies, SSE, announced an 8.2 per cent increase in domestic bills would come into force in November. Most – if not all – of the other major firms are expected to follow suit. Are Brits particularly hard done by, or is the high cost of energy just a way of the world as we burn our way through our fossil fuels? After discovering this handy cost-comparison tool from Budget Direct, it might be worth bringing comparative costs into the Great Fuel Debate. Budget Direct are an Australian insurance provider, but its Cost of Living Index focuses on the day-to-day expense of living in nine major cities – three each from the US, UK and Australia. You can compare all sorts of costs, from food shopping to renting a flat, but after playing around with it for a little while, the utility costs comparison makes for stark reading. It shows that basic utilities – electricity, heating, water and rubbish collection – for an 85m2 apartment cost Brits £139.86 per month (the price Budget Direct give is in Australian dollars, of course, but it’s easy to convert). As you’d expect, Londoners pay a little more (around £20 per month) than those in Birmingham or Manchester. In Australia, the average monthly utilities cost is £126.69 – more than £13 cheaper than the UK – but even that seems high when you consider a US resident pays around £88.91 each month. There’s plenty more to see on the Budget Direct tool, but none of it makes particularly good reading for Brits, and Londoners especially – those in the capital pay the highest prices for petrol, milk, taxi rides and public transport, as well as by far the biggest cost per square metre for their apartments. As for utilities, this debate will run at least until the next General Election, but in the meantime it’s worth having a look at our money-saving tips for winter to try and mitigate against the rising tide of gas and electricity prices.